I am super excited about this blog post!!! Although it's still summer vacation time for me and my family, we've been super busy with traveling, visiting family, attending summer camps, reorganizing my classroom and finding time to relax and wiggle our toes out by the swimming pool. So in the wee hours of these (still so busy) summer days, I've squeezed in time to create. I've had an adorable teddy bear theme in the morning message/circle time activities for my class and wanted to carry on these cuddly cubs into my sight word routine. 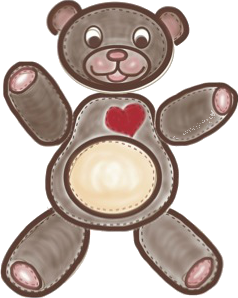 So I made these cute teddy bear cards. 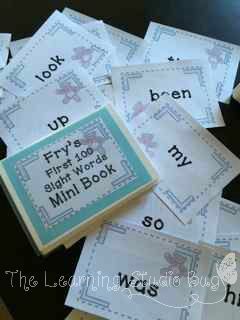 They include Fry's First 100 Sight Words which can be neatly housed inside of a set of fun little photo albums I found at Michael's Craft Store. Along with the sight word mini albums, I created the accompanying Sticker Books. My students COULD NOT get enough of them this past school year! I would say it's quite the sticker addiction. I admit it is all my doing, I know! After all, I do have a "slight" sticker addiction myself!!! In addition to the Mini Album and Sticker Book, I also created Sentence Builders. These sentence builders can be a challenge at first, but my kiddos were similarly addicted to these as well and were begging for more. I could not believe it! Once they accomplished the first two, they just couldn't wait to complete more of them. The Sentence Builders can be used in a language arts center or separately depending upon your needs. This kit is a growing bundle at my Tpt store. 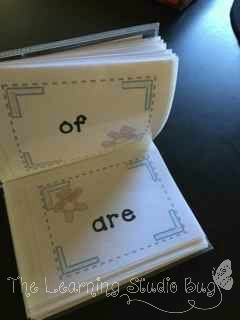 I plan on adding more sight word activities/centers to it in the weeks ahead. As much as my children have loved this sight word collection, I hope this set can be a "beary" fun part of your language arts routine too!